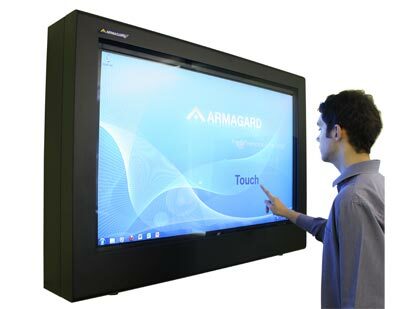 Digital Signage Touch Screen | Digital Advertising with Touch Screen Technology | Armagard Ltd. 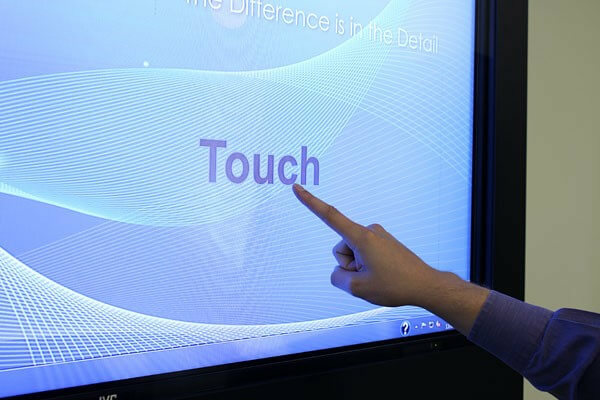 Opening a whole new channel for audience engagement, our Digital Signage Touch Screen helps businesses attract customers with cutting-edge, interactive promotions. 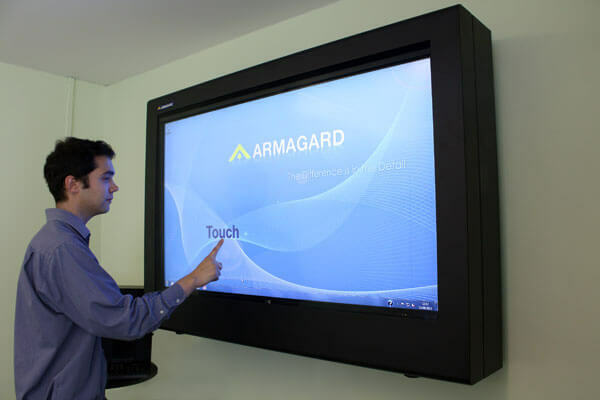 Protected against collisions and particle ingress and sealed to Nema 3S, Armagard’s Digital Signage Touch Screen offers a cost-efficient alternative to dedicated outdoor displays. Integrate your own thin client PC and LCD displays while benefitting from long-term outdoor security. 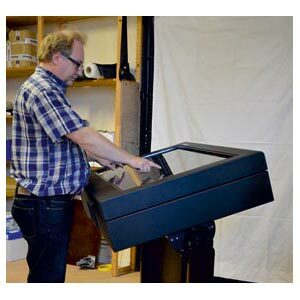 Using a projected capacitive touch-foil across the display window*, this clear thin-layered film adds single or multi-touch abilities to the enclosure, works in an outdoor environment, and is available for enclosures sized 32” to 75”. Heavy rainfall - waterproof and outdoor ready. Dust ingress - suitable for industrial warehouses. Electrical surges - reducing computer crashes. Impact protection – preventing costly hardware repairs. Temperature extremes – provided with adjustable climate controls. 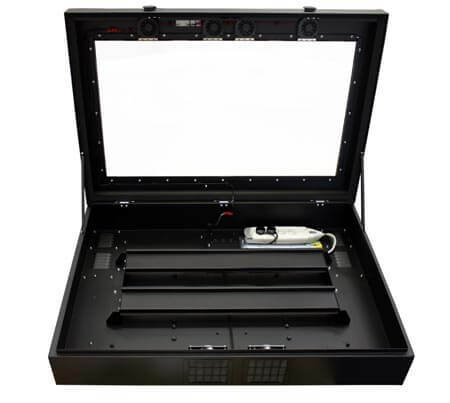 Theft protection - lockable and secure for your peace of mind. 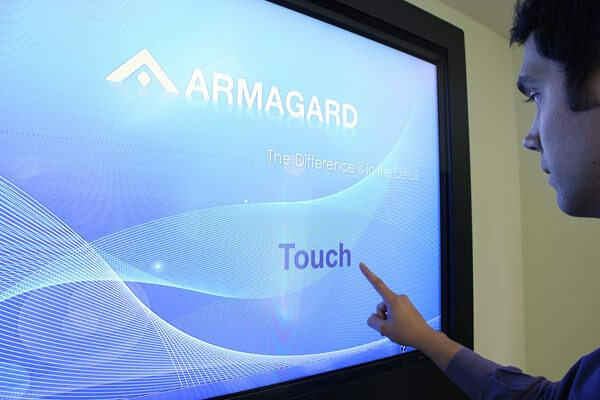 Armagard Digital Signage Touch Screens, for all-in-one digital signage protection.